It would be so cool if airmail really worked this way. 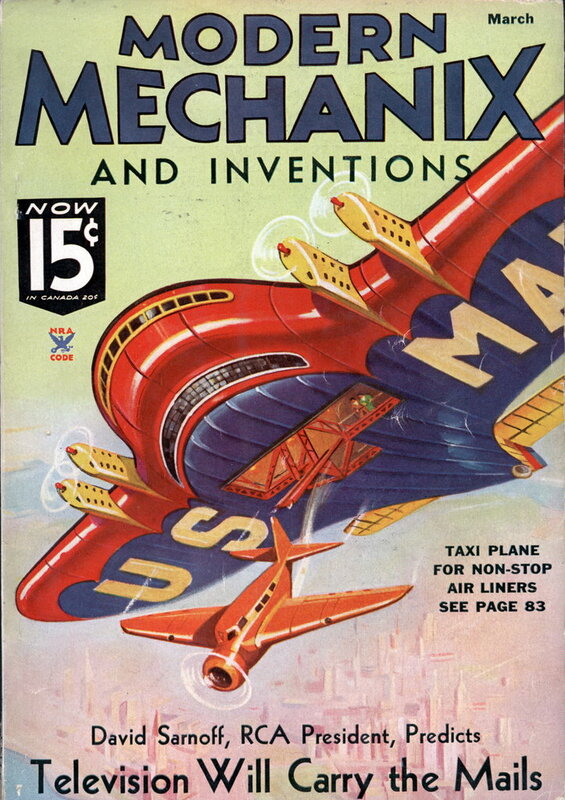 DRAWINGS revealing the operation of the pick-up device used at the 1934 Century of Progress in delivering and receiving mail from planes in flight have been revealed by the inventor, Dr. Lytle S. Adams of Chicago. Most ingenious feature of the device is the method by which the incoming bag is released and the outgoing mail tossed into the air. As the plane flies directly over the chute, the comparatively fragile wire dangling from the plane is broken at the mail bag as it reaches the end of a narrowing chute in the pick-up device, releasing the bag. A steel ball on the dangling wire trips a lever which catapults a new sack out of the chute and into the air. 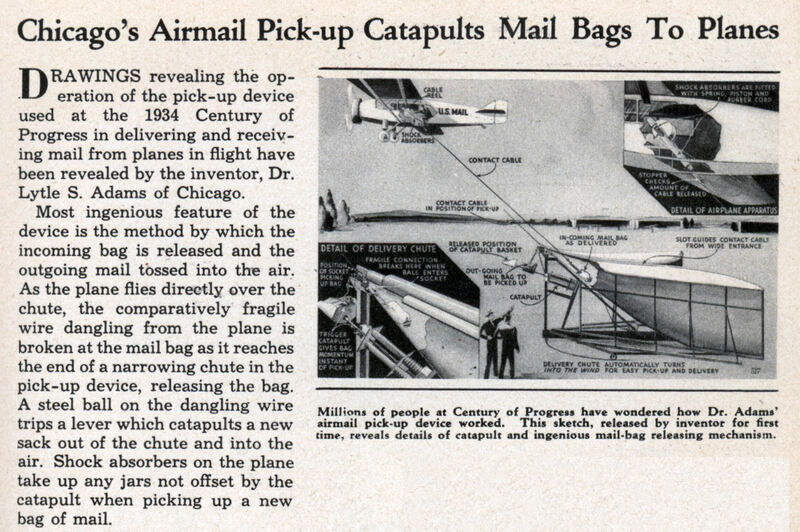 Shock absorbers on the plane take up any jars not offset by the catapult when picking up a new bag of mail.